M12 is 16,000 light-years from our solar system. 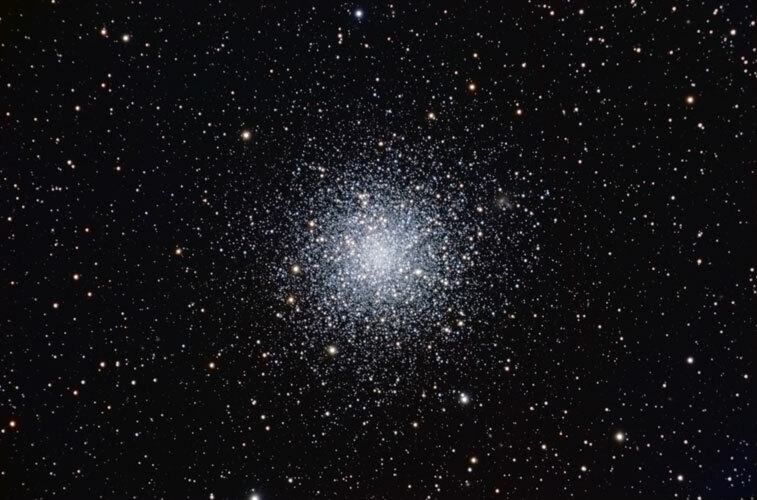 Its core is less concentrated than that of most globular clusters, giving it a slightly more open appearance. Technical Notes: Individual exposures were obtained using CCDAutoPilot2 and then sigma combined. The RGB image was created in Registar 1.0. Russell Croman's GradientXTerminator plug-in for Photoshop was used to remove mild gradients.